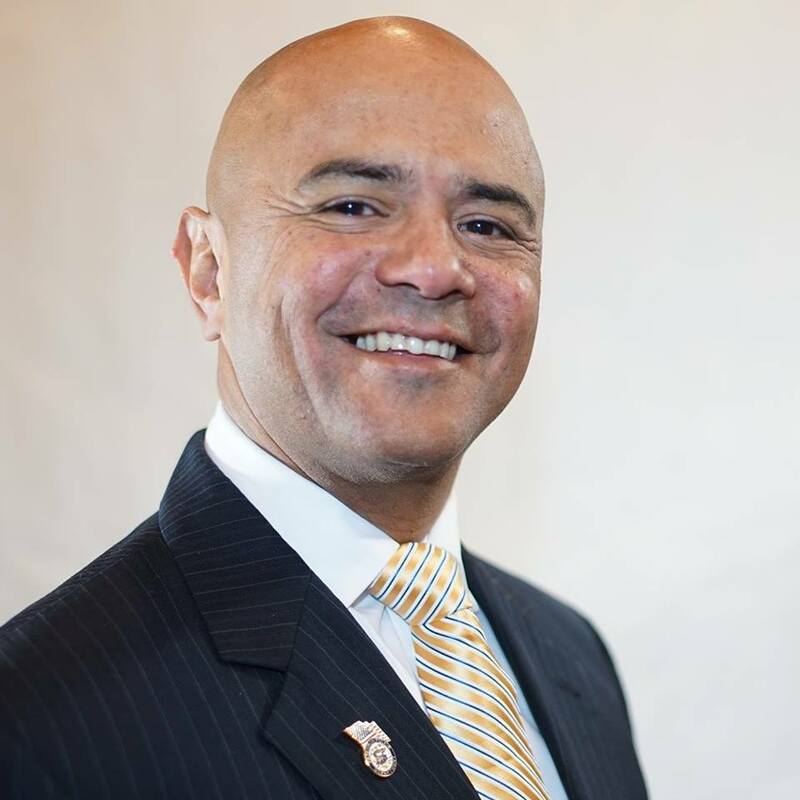 Alex Cruz, president of the Paterson police union, does not meet the one-year residency requirement to run for the city’s highest office, according to Passaic County election records. Cruz, who has been actively campaigning over the past weeks, changed his address from Little Falls to a Paterson residence on July 19, 2017. He fell two months short of meeting the one-year requirement. Passaic County superintendent of elections Sherine El-Abd said a records request from the Paterson Times triggered a review of Cruz’s address changes. “He’s not able to be a candidate,” said El-Abd on Wednesday morning. “He has not lived in Paterson for at least a year.” She said the municipal clerk has to make the call on disqualifying Cruz. Cruz has picked up petitions to run for mayor, but has yet to return them, according to municipal officials. Cruz did not respond to three calls for comment for this report. “We are communicating with our legal department to get a legal opinion,” said deputy city clerk Joan Douglas. The clerk’s office also received communication from the superintendent’s office, she said. “No one has asked me for a legal opinion on that issue,” said law director Domenick Stampone. Cruz provided a Madison Street address while picking up petitions from the clerk’s office several weeks ago. He was registered to vote at a Pennsylvania Avenue address. “We meet the legal requirement for Alex Cruz to run for mayor,” said Pablo Fonseca, campaign manager for Cruz, after the report was published. Fonseca appeared to blame the city clerk’s office for allowing Cruz to pick up petitions. “My question is, when he picked up the petitions, why would they give a candidate petitions, if he didn’t meet the requirement?” asked Fonseca. He said Cruz has not received any notice that renders him ineligible. “I will say that the city clerk’s job is to accept information as provided and at face value. Her office is not equipped to conduct investigations,” said Stampone. One mayoral candidate has publicly questioned whether Cruz lives Paterson. He has voted in Little Falls 14 times since 2007. Only last November did Cruz vote in Paterson – he submitted a mail-in ballot, according to election records. “To be honest, I’m surprised he lent his name for this, knowing himself and knowing everybody around him, that he doesn’t live in Paterson,” said former school board member Pedro Rodriguez. Rodriguez has alleged Cruz does not live in Paterson. Cruz’s campaign is buoyed by diehard supporters of disgraced mayor Jose “Joey” Torres, according to political observers. Cruz has been a police officer in Paterson for 23 years. He makes $116,000, according to municipal records. He has served as the president of the Police Benevolent Association, Local 1, since 2011. McKoy said Cruz identifies with the Silk City for having worked in the city for such a long time. Rodriguez described Cruz as someone who is “well-respected” in the police department. Rodriguez works as a telecommunication specialist in the same police department. This report was updated on Feb. 22, 2018 at 9 a.m. I know a member of the council who doesn't live in Paterson Mr. Jackson, what do you have to say about that?? ?